This is a picture of my grandma. Pearl Louise. I’d guess she’s about 7 years old in this picture. The same age as my daughter. This picture must have been taken in 1922. Good golly. That seems like a lot of years. 91 of them. 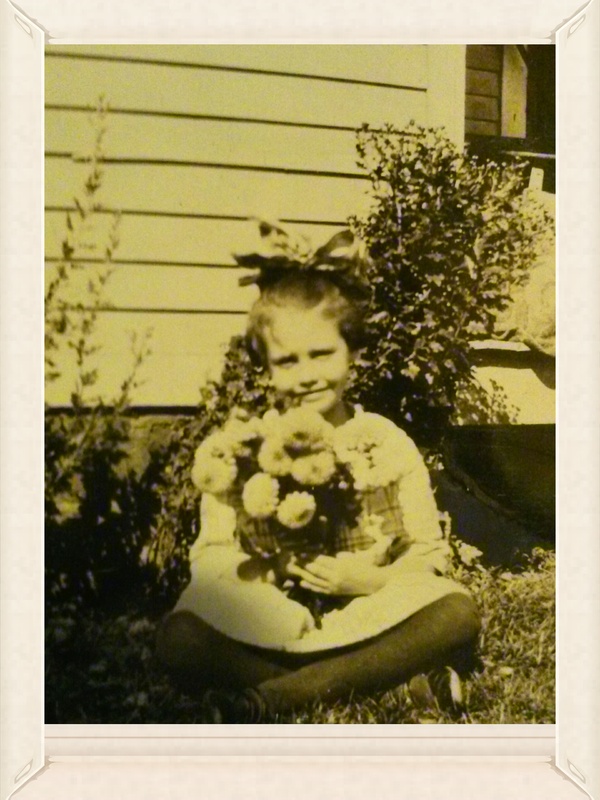 In this new novel I’m writing, the protagonist (or the main character) is a whole lot like my grandma. Some of the stories my grandma told me are influencing the plot of my fictional world. She had some pretty crazy stories. And she was naughty! But, you know, spending all this time thinking about her has made me miss her terribly. She died in 1998 at 82 (a month from 83). The news of her death broke my heart. Somedays it still does. While this time of thinking about her and remembering her stories is sweet, missing her adds a little bitter to the mix. But you know, I feel like, as I write this novel, I’m preserving a little bit of her. Pearl Louise. And, hopefully, it will mean something to my kids and nieces and nephews. A little bit of their heritage to learn from. Because my grandma had a whole lot of life packed into her 82 years and 11 months. How about you? Do you have a family member who would make a good character in a novel? What makes their life so important or interesting? I have many fond memories of my grandma, too, and I’m 70. She died in 1976. I remember sleeping in her bed with her (she and grandpa had separate rooms due to snoring) and tickling and giggling to our hearts’ content. She took me downtown on the bus to go to the big department stores: Steketee’s, Wurzburg’s, and Sears. She taught me how to bake, grow award-winning roses, etc. etc. Those were good days. I rode my bike from home to her house (about 2-3 miles) with my little Pekingese in the basket. Nobody worried about being abducted or assaulted…. Judy, what a lovely memory! Thank you for sharing it. I think about my Grandma Meyer almost every day. She had a lot of struggles, a lot of heartache, but she loved her family and really hated it when they all moved away. The worst part was, they all moved away because she was trying too hard to keep them close. I didn’t really get to know her til she was old and blind and dependent on others to take her where she needed to go. She hated losing her independence … but I treasure every moment I got to spend with her, being her eyes for her, taking care of her, I started a story about her years ago. Someday I hope to finish it. Rob, I hope you finish that story, too. I’d love to read it! My grandma wrote some wonderful memoirs about her life. As she grew older she wrote them down and passed them out each Christmas. I have many. I pulled some out the other day and read the story about how she and my grandfather met. They wrote letters while he was in the Navy during the Korean war. Something about grandparents is enchanting. I hope I can live up to part of their legacy and not just be an old cranky man! I’m so glad she wrote those stories down! What a gift for all of you. Yes. Enchanting is a very good word. I think more people in our generation should see grandparents that way!